Some days, it’s easy to feel like you don’t actually spend that much time marketing. Instead of crafting engaging content or building relationships with new prospects, you’re stuck staring at a screen of numbers, asking yourself what they mean, questioning if you’re interpreting them right, and then figuring out how this data should inform your future projects. You want to know that your work is making a real difference on the bottom line. But to be honest, you’re buried in data up to your eyeballs. That’s the irony with data-driven marketing. We have spreadsheets upon spreadsheets and dashboards upon dashboards -- but do we really know what to do with it all? On any given day, you make a lot of small decisions that can have a significant impact on results: What time should I send my email newsletter? What topic should I write my next blog post on? Should it be a blog post, or should it actually be a video? And for that CTA in the conclusion, what color will actually make people click? Very soon, all of these questions will be answered by robots. Well, not robots, exactly ... but artificial intelligence. Whether you consider yourself tech-inclined or not, you’ve likely heard of AI. Perhaps you recall scenes of Rosie cooking dinner for the Jetsons or HAL 9000 commandeering Dave’s spacecraft control room. Or maybe you’ve noticed the onslaught of headlines describing AI as either the future or a cause for concern. So it’s worth asking, what will AI mean to you? What will the coming revolution mean for your day-to-day work, your business, and ultimately, your customers? We should probably get one thing out of the way: Artificial intelligence doesn’t mean robots. And at least at the moment, it’s not flying cars or revenge-seeking cyborgs either. In fact, artificial intelligence is not even easy to define. 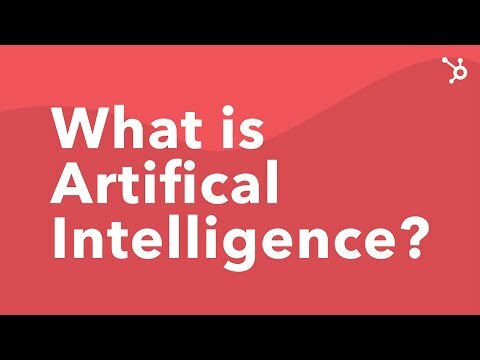 In the most general of terms, AI refers to an area of computer science that makes machines do things that would require intelligence if done by a human. This includes tasks like learning, seeing, talking, socializing, reasoning, or problem solving. We wouldn't be the first to admit that this definition is a little vague. For years, technologists have argued over what counts as AI and what falls short. So when you're trying to wrap your mind around what exactly AI can accomplish, it can be easier to think about one of the many subfields that fall under the AI umbrella. Machine learning, for example, is a subfield that allows machines to find hidden insights within data sets without being explicitly told where to look. If it sounds complicated, you’re not alone. But as HubSpot Senior Software Engineer Asher Krim explains, machine learning is just an application of statistics. Even if you’re not familiar with the complexities behind machine learning, you’ve most likely benefited from the results. When Spotify suggests music you might like or when Facebook automatically tags a friend in a photo, that’s the result of machine learning. These applications learn your preferences or can recognize a face based on past interactions with the platform, which helps the program predict and serve better results over time. These machines learn like a human would -- through experience and training. With machine learning, programs learn like a human would — through experience and training. For example, let’s say you want to teach a computer to distinguish between a cat and a dog. You might say cats have four legs, a tail, and pointed ears. Dogs have four legs, a tail, and floppy ears. But if you show that machine a chihuahua or a corgi, will it say it’s a cat? Between tail length, fur texture, and color, there’s a lot of labels a developer would have to program manually to help a traditional computer spot the difference. 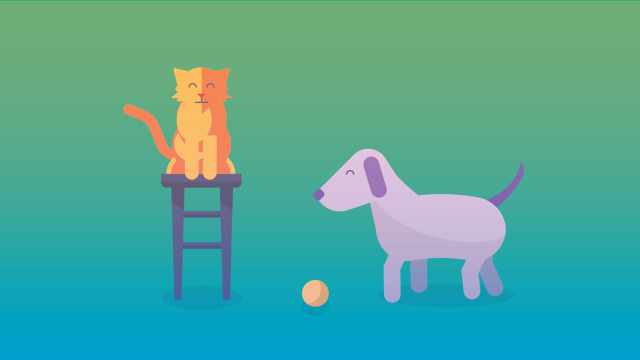 But with machine learning, you feed the computer thousands of photos of cats and dogs so it can learn to spot the difference by experience -- or in the world of machine learning -- lots of data. You could then break down machine learning ever further depending on the amount of human involvement in the process. The data might have labels to help the machine categorize the information through what’s called supervised learning. Or, in many cases where labeled data is too hard or too expensive to come by, a machine could use unsupervised learning to discover patterns in a dataset on its own. Another well-known area of AI is natural language processing, where a machine is able to transpose your voice into text, conduct the query, and read the answer back in human syntax. In other words, you don’t have to speak in code to your smartphone. Cortana, Microsoft’s voice assistant, actually picks up on slang and emotion the more she’s used. Voice search, which is available on the 3.9 billion Apple, Android, and Windows mobile devices worldwide, has driven the increasing adoption of AI. In fact, 74% of our survey respondents used it at least once within the past month. Half use it daily and are happy with the quality of the results. People just don't realize it. Check out HubSpot's Research report for more stats on the adoption of AI, voice search, and bots. The State of AI: Fad or Future? As with nearly every technology trend that has risen before, it’s worth asking if AI is simply a fad (PalmPilots, anyone?) or if it’s here to stay. Before you shrug it off, know that AI isn’t new. In fact, for more than 60 years, the field of AI has been steadily growing outside of the public spotlight. 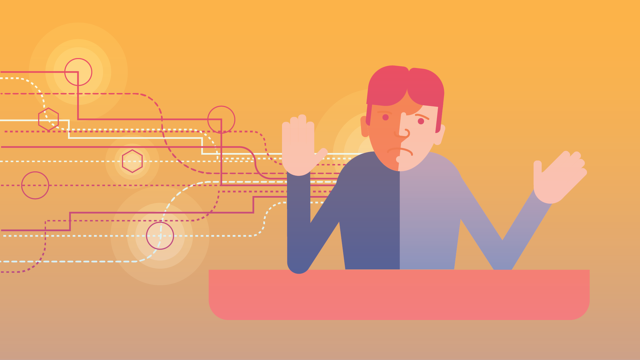 Since then, the technology has remained for the most part within university classrooms, suffering what some call a few “AI winters.” That is, until now. There’s more data than ever before. In fact, so much so that 90% of the world’s data has been created in the last two years. Remember, machine learning runs off its ability to identify patterns and form algorithms out of massive datasets. The algorithms are getting more sophisticated. Computers and computer scientists alike are getting smarter. By building machines with neural networks, machines are able to replicate the way the human brain works and form complex associations. Computing power is not what it was a half of a century ago. In accordance with Moore’s Law (although some reasonably argue it’s now obsolete), computing power has doubled every two years since around the time McCarthy first began exploring artificial intelligence. Put all that together, and you’ve got a lot of technologists, CEOs, and venture capitalists diving into the possibilities of a new AI era. 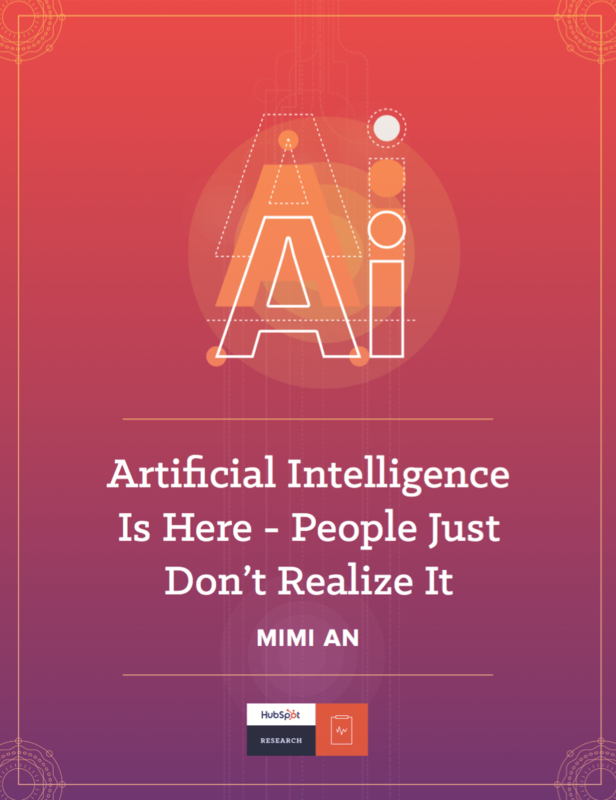 Ari Sheinkin, VP of Marketing Analytics at IBM, admitted that applications of AI are just now intersecting with the lives of average people in ways they could never have before. “The ability to get that [amount of] data and have the power and the processing and the tools that actually can make sense of it -- 10 years ago, [it] would have been a research project,” Sheinkin said. Applications of AI are just now intersecting with the lives of average people in ways they could never have before. While its long history is important, there’s no better proof that AI is here to stay than the value it’s already providing. 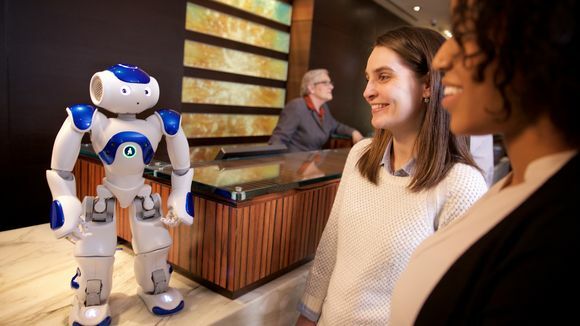 For instance, if you were to visit the Hilton in McLean, Virginia, you could be greeted by a friendly, 2-foot-tall robot named Connie. With the help of IBM’s cognitive computing technology Watson, Hilton created the world’s first AI-powered hotel concierge to help personalize guest experiences. When you check in, you’ll find her perched on the front desk answering questions about the hotel’s amenities or using her moving arms and fingers to literally point guests in the right direction of the perfect restaurant. The same technology behind Connie also created the first AI-produced trailer for the thriller Morgan. IBM researchers fed Watson 100-plus horror film trailers so that it could identify patterns in the visuals, sound, and composition. It then processed the movie Morgan and was able to identify the best scenes to include in the trailer, in the most impactful order. According to an exclusive with Wired, Watson finished the entire process in 24 hours -- a task that would take humans 10 to 30 days to complete. But you don’t have to work at a Fortune 500 company to witness the value of AI. Consider the adoption in your own home. Thanks to the rise of the Internet of Things, even the least tech-y of people can personalize their lives from their pocket -- from optimizing the temperature of their home to reduce energy costs to ordering more laundry detergent from Alexa with their voice to using security cameras with facial recognition software so you know if it’s a human or a stray neighborhood pet at your door. And this is the point of AI-powered technologies. They’re designed to flow into the platforms and tools we already use and make even the most mundane tasks more efficient and accurate. Of course, there are still those moments when Siri misunderstands your request to “call me a cab” and actually changes your name to “Acab.” But as Krim explains, the only time people tend to notice AI is when it goes wrong. “When machine learning is done well, you don’t necessarily know that it’s happening,” Krim said. Which points to why 37% of those surveyed on the adoption of artificial intelligence said they hadn’t encountered an AI technology, yet when this same group was asked if they used voice search technology, 63% responded “yes.” People are using AI every day -- without realizing it. Yet, some barriers remain when it comes to adoption in the working world. Of those taking advantage of voice technologies, for example, most use it in places where they don’t feel judged for talking out loud on their phone. We found that 84% admit to using natural language processing at home and 44% in the car, while only 27% said they would at work. Online shopping has come a long way since the beginning days of eBay and pushing visitors to call a 1-800 number. And it’s about to radically change, due to both mobile shopping and the rise of AI. Consider this example: Our friend Sam is in the market for a new portable solar stove for his upcoming RV trip across the country. He’s hitting the road in a few days, so there’s no time to scroll through an online catalog or drive to the nearest outdoor gear store. Instead, he turns to Facebook. 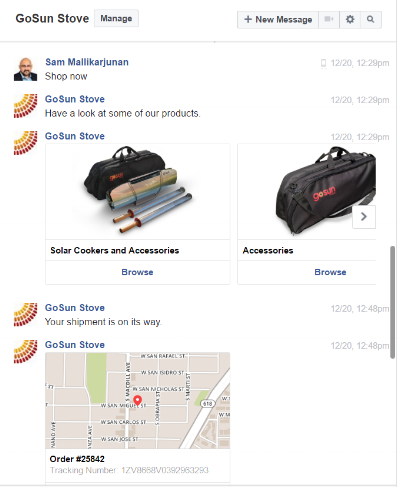 With the help of an AI-powered chatbot, Sam is able to browse popular product options and purchase his final choice without leaving Facebook Messenger. If he has a question on a product’s dimensions or the different shipping options, he can just ask the bot. And the moment he has a question the bot can’t answer, a customer service agent steps in to take the lead, all in the same chat window. Since Facebook opened up its Messenger platform, 30,000 chatbots have already been released that allow payments. In our research report, we looked at how the rise of bots is impacting online transactions. As it turns out, there’s tremendous potential for businesses large and small to use bots to remove friction from the buying process. 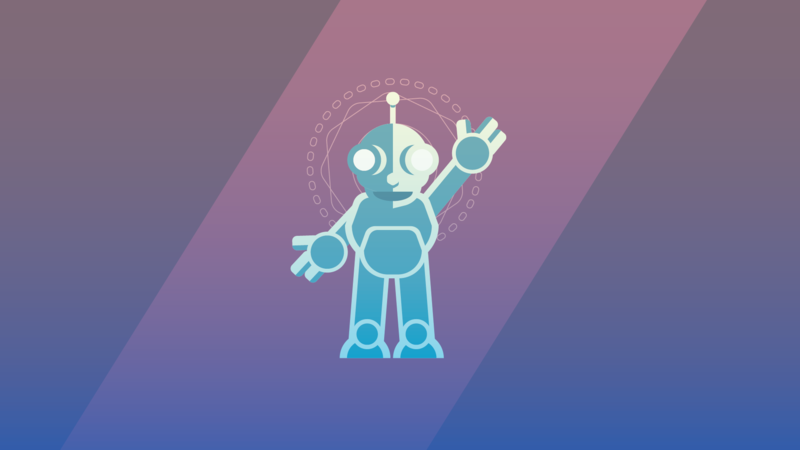 According the survey, 47% are interested buying products through bots -- even surpassing the 37% who said they’d buy on social media. This level of interest remained when we asked about customer service interactions. In fact, 40% of shoppers don’t care if they’re helped by an AI tool or a human, as long as their question gets answered. 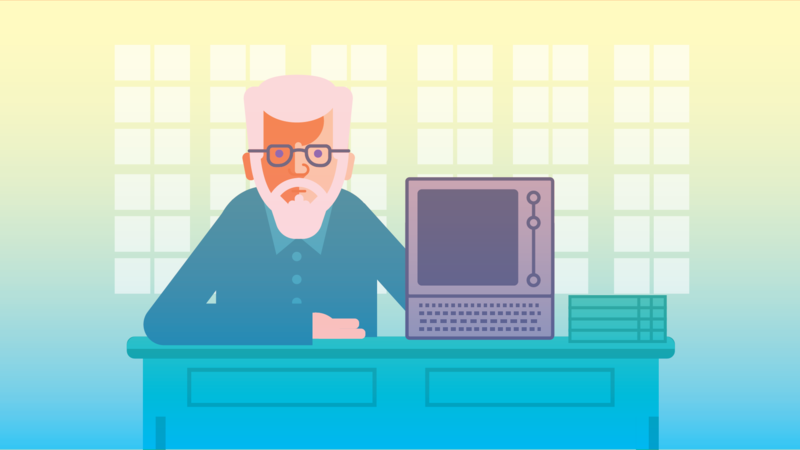 With the help of artificial intelligence, bots are blurring the line between marketing, sales, and customer service to radically change the way people research, shop, and buy. Brands like The North Face are already using this sort of technology to decrease the time it takes to discover and purchase a product. Instead of having to review a long list of product options, the shopper tells the bot they need a parka to snowboard in Vermont, and they’re matched with a customized list of suggestions. Bots are blurring the line between marketing, sales, and customer service to radically change the way people research, shop, and buy. And as buying from bots becomes more mainstream, B2C consumers -- and eventually B2B buyers -- will begin to expect these types of interactions from brands. There’s no need to stay on hold as you’re passed from department to department just to get information on if the product is covered by a warranty. As we saw in the example with the Facebook Messenger bot, even the necessity to visit to a business’ website to make an online purchase is fading away. Consumers will expect to get information delivered to them, rather than having to search for it. Marketers take note: Each of these changing consumer habits should transform the way you think about reaching your customer. 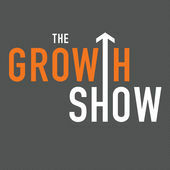 As Chris Messina, former developer experience lead at Uber, pointed out in an interview on The Growth Show, marketers will need to consider how to be more “human” and less “formulaic” in their communication approach. While we’ve seen big developments in data-driven marketing in the past 10 years, AI will produce smarter insights at an even quicker pace, empowering marketers to make better decisions and create more impactful communications. That means, very soon, marketers will need AI to achieve the degree of personalization expected by consumers. Even a simple act such as writing a blog post will change. Today, you might stress over what to write about in the first place. While writing, you struggle to get the tone right for the subject matter and feel that your argument could be bolstered by data points that you don’t believe exist. With artificial intelligence capabilities, your topic could be automatically chosen for you based on an uptick in search interest, past performance of the topic, and your established editorial mix for the week. It’ll look not just at your target audience’s search habits, but your own content library for linking opportunities. As you write, it might suggest ways to tweak your language to better connect with your reader. For those stories routed in data, machine learning could be used to identify trends and write out those insights in natural language. Between baseball highlights and quarterly earnings reports, the Associated Pres and Automated Insights is already making this a reality. Preparing your next email? Machine learning will be there again to lend a hand. Thanks to a marketing software full of clickthrough rates and customer history, there will be no need to wonder what’s the best subject for an email, what image should you use, or what time you should send the blast. In fact, email blasts themselves will likely be a thing of the past. Already, marketers and sales professionals are employing chatbots to provide them with the most up-to-date information about their prospects, customers, and programs. An example is GrowthBot, which can be prompted to deliver information on a company’s top-viewed blog posts, the software used by a competitor or the PPC keywords they are buying, the top Twitter users in a specific location, and more. easy access to information and services. Watson is helping marketers understand the emotion, needs, and values of their target audience -- not just their demographics -- with its Personality Insights. Gone will be the days of arbitrarily filling out buyer persona profiles, or even relying on just a handful of customer interviews. By analyzing social media posts and other internet writing, Watson is able to paint a more accurate picture of an audience’s personality to drive creative that reflects these attributes, especially for areas like email marketing and social media advertising. You won’t just need to re-think data infrastructure or the way you build content -- you'll have to re-think marketing as a profession. In the next five to ten years, data-driven marketing will not look anything like what it does today. As Krim explains, machine learning will be the solution successful marketers use to make informed decisions and build an audience. 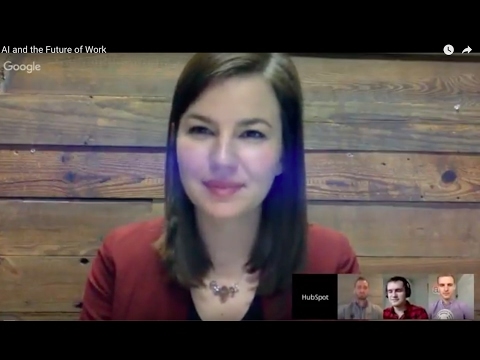 Predicting the future of work has long been an tempting topic for bloggers, business leaders, and the like to tackle. There’s the rise of the remote worker, the habits of the millennial employee, or the collaborative benefits of an open office floor plan. But when you talk about the way we’ll work five years now, you can’t do so without considering the impact of AI. 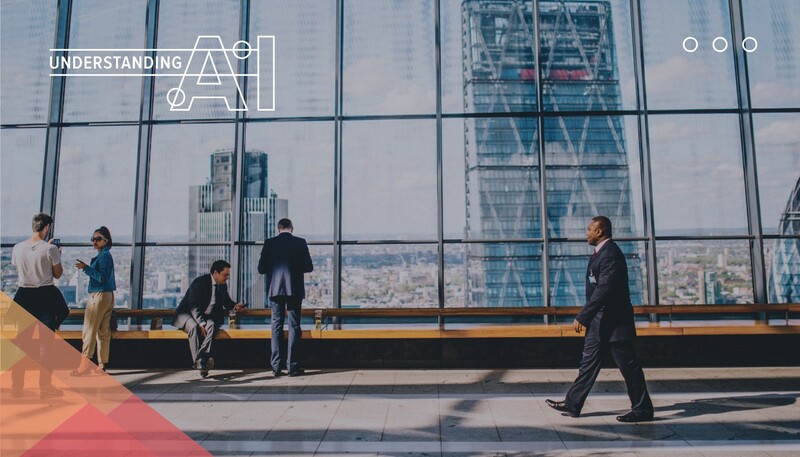 Want to learn more about how AI will impact your business? View the recording from our live discussion. The problem is that as people predict the impact of artificial intelligence in the workplace, it has become a combat story where humans are pitted against robots. In a spirit of fear, they describe a world where AI-powered technologies take over jobs, make skills obsolete, and skyrocket unemployment rates. Yes, AI will change millions of jobs. It’s likely that many jobs that require humans to man vehicles will be replaced by self-driving cars. Some factory positions could be automated by robots or deemed obsolete by 3D printers. Even for those who consider their output creative are not entirely safe. AI technologies have painted portraits, composed symphonies, and even produced recipes. But the realities around our AI-enabled future are not all negative. Many argue that AI will create new, more interesting jobs. Others predict a massive economic revival, potentially increasing labor productivity by up to 40% by 2035. Even the White House is considering how AI could revitalize security, education, infrastructure, and public policy. To say the least, thinking about how AI will alter the modern workforce is an exciting, yet unsettling thought. And in times of immense change, it’s human nature to want to reduce a complicated situation to a good guy and a bad guy. But it’s more complex than that. AI is not a story of human versus machine. Instead, it’s human and machine versus problem. By automating and optimizing the repetitive tasks of your job, AI will give you more time to focus on your customers. That way, you can build meaningful relationships, spend more time on strategic initiatives, and ultimately, be more human. Hear Dan Pink discuss the main motivators for millennials and why robots won't steal your job. 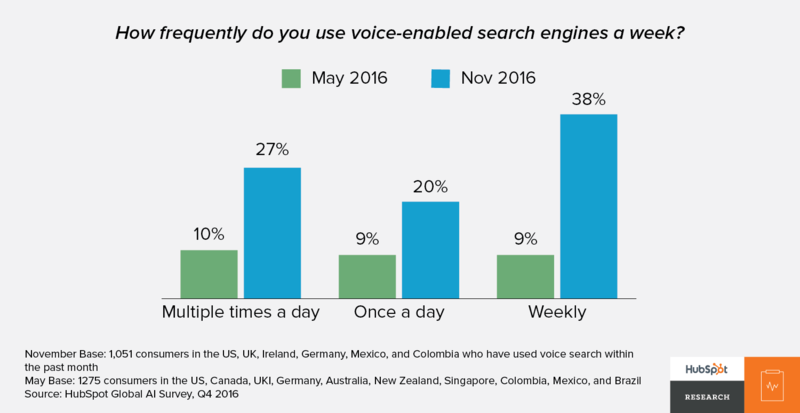 Discover the stats on consumer adoption of voice search and how much people actually want to interact with chatbots. Discover how AI is changing everything from ad optimization to content strategy.